Locals and visitors with Easter on their minds have a basketful of reasons to hop around Richmond this weekend. And while chocolate treats are certainly on the menu, you won’t need a sweet tooth to have a cracking good time. An appearance from the whisker-twitching Easter Bunny is part of the fun at Steveston Community’s Centre’s March 31 Easter Eggstravaganza. Recommended for kids aged 10 and under, two hours of activities are planned from 10am – including crafts, games and a giggle-triggering egg hunt. Book ahead for this event: registration is required; all children must be accompanied by an adult; and tickets are priced at $10 per child. The Easter Bunny’s lesser-known aquatic sibling is the star of the show over at the Gulf of Georgia Cannery National Historic Site between March 30 and April 1. The heritage attraction’s three-day Easter at the Cannery celebration – running from 10am to 5pm daily – includes crafts, games, interactive storytelling and a unique egg hunt led by the legendary Easter Salmon herself. The hunt takes place every 30 minutes from 10:30am to 4:30pm on each day and the ever-friendly, furry-eared Easter Salmon will also be available for selfies throughout the event. Entry costs $4.90 for children and $3.90 for adults. If your idea of Easter indulgence includes tasty treats and a perfect cup of tea, take the family to Richmond’s charming London Heritage Farm on March 31 or April 1. 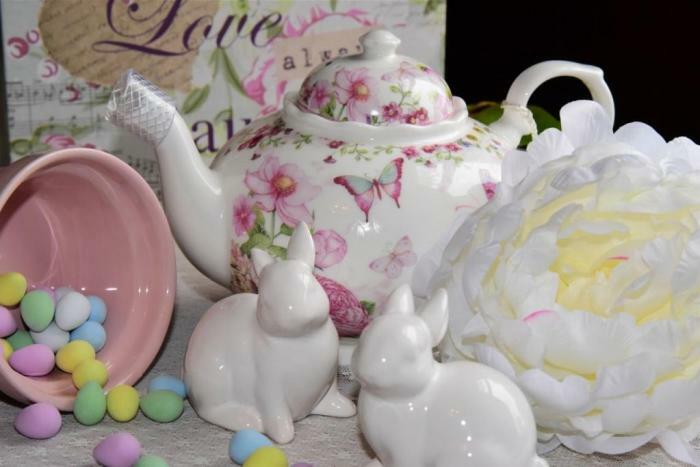 The antique-lined, 1890s-built farmhouse is surrounded by picturesque gardens – and its vintage-look tearoom will be serving a special Easter Tea this weekend. Book your table ahead of time (for $14 per person) and you’ll soon be enjoying goodies served on old-school crockery. Special treats are also available for visiting kids (on April 1st, from 10:00am - noon) and the farm’s onsite shop will have gift items for sale. Over at Aberdeen Centre mall, the brightly coloured Easter Bunny’s Garden – complete with furry sheep, googly-eyed rabbits and oversized carrot plushies – has been on display in the Central Atrium since March 13. But if you’re a serious Easter fan, don’t miss the site’s special April 1 EGGstraordinaire event, running from 1pm to 5pm. Sweeter than a Cadbury’s Cream Egg, the annual celebration includes face-painting, balloon artistry, Easter games and a Japanese street theatre show (at 3:15pm and 4:15pm). But the big draw is the chance to hug the Easter Bunny himself and snap a photo or two in his garden. Access to the games, balloon-bending and face-painting booths comes with a purchase of $10 or more in the mall that day (April 1) – show your receipts at the centre’s Customer Care counter and you’ll receive two free tickets.